Tiina Myllärinen (b. 1979) writes music that has been described as cheerfully inquisitive, vigorous and original. She has composed orchestral, choral, chamber and solo works and experimented with electroacoustic music and video. Outside Finland works by her have been performed in the United States, Italy, England, Austria, Germany, Lithuania, Iceland and Norway. Among those who have commissioned works from her are the Pro Musica Foundation, the Helsinki Chamber Choir, the University of Helsinki, the Time of Music festival, the Uusinta ensemble, the Polytech Choir (PK) and the “ja kitara soi” guitar festival. 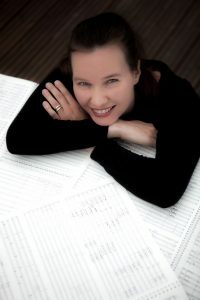 Tiina Myllärinen has recently developed an interest in the application and study of various acoustic phenomena, such as resonance, in her music. She is also working for an artistic doctorate at the Sibelius Academy on the subject. At present she is working on a 3-year grant from the Arts Promotion Centre Finland. Fennica Gehrman has published orchestra pieces what? (2010) and Traces (2014), ensemble piece Squarcio (2011), choir piece Railo (2015) and chamber music piece Three songs (2007). They will also publish my upcoming string quartet (2021) and sinfonietta piece. 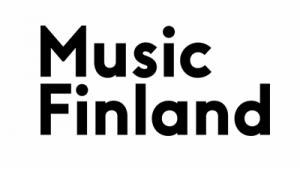 My pieces have been heard in radio in Finland (YLE) and Island (RÙV).